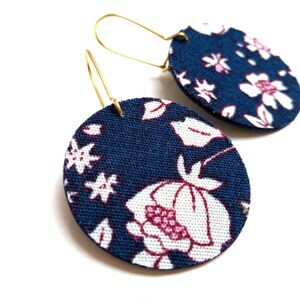 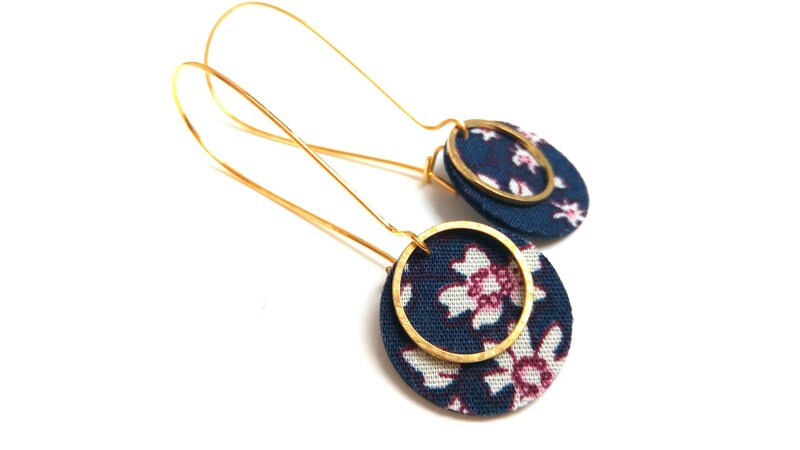 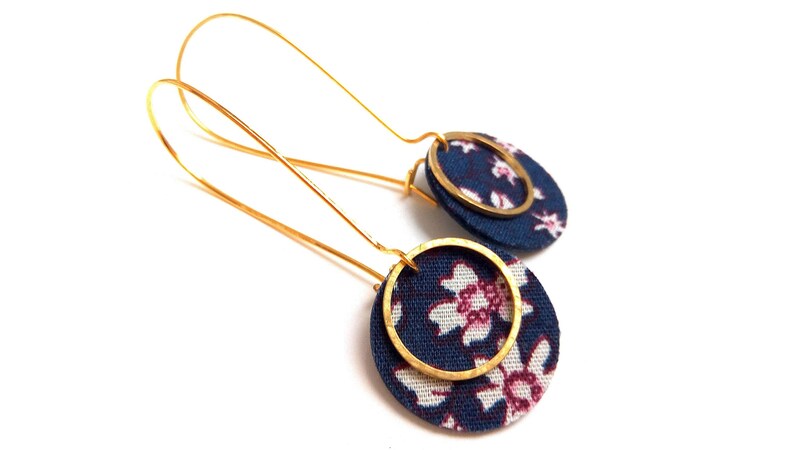 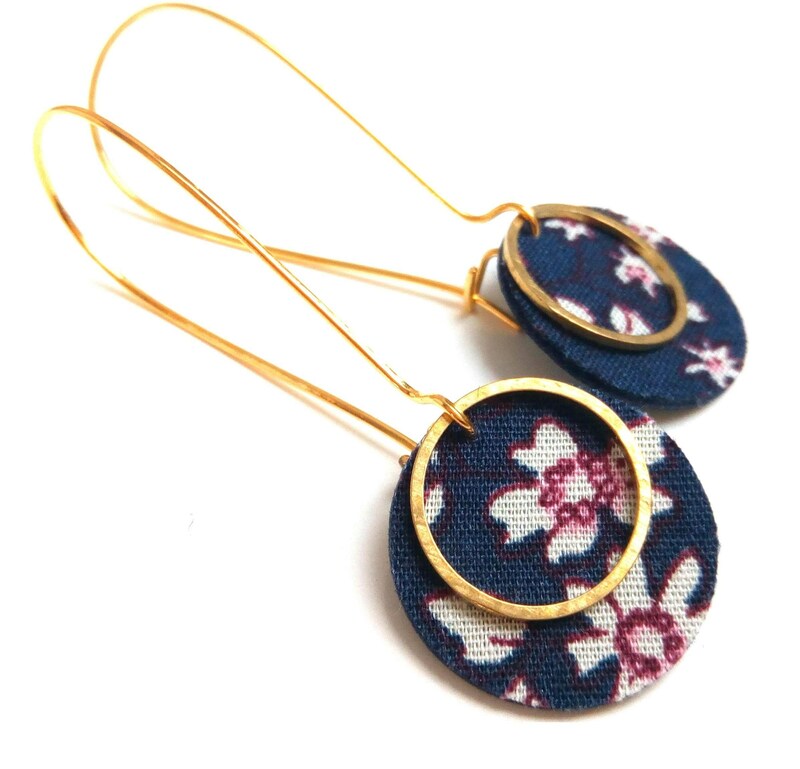 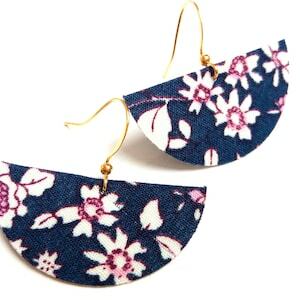 Marine collection, Navy purple, floral, refinement of the liberty jewelry on leather, fabric pattern small graphic flowers. 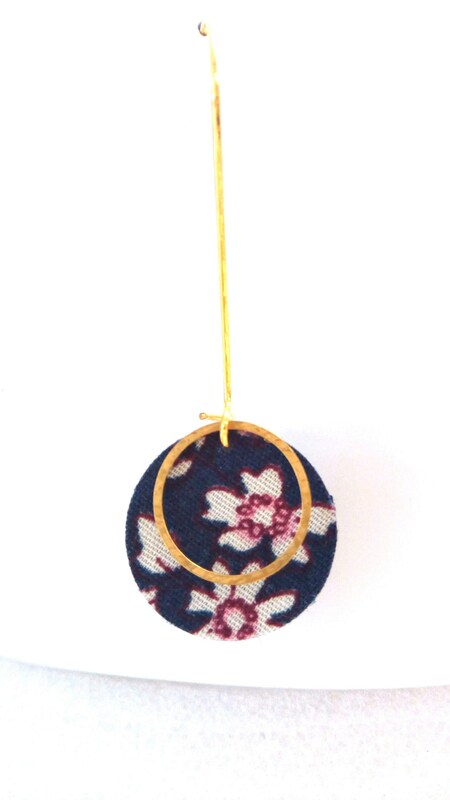 Beautiful leather cabochon 2cm diameter chrome-tanned, full grain goat Navy. 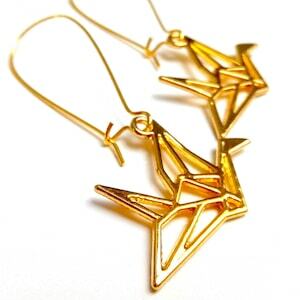 Long hooks and rings in brass guaranteed without nickel, lead or cadmium in accordance with EU standards.